SheTrades Global is one of ITC’s flagship events and serves as a unique opportunity to generate concrete ideas for women in the economy as well as facilitate business-to-business interactions. 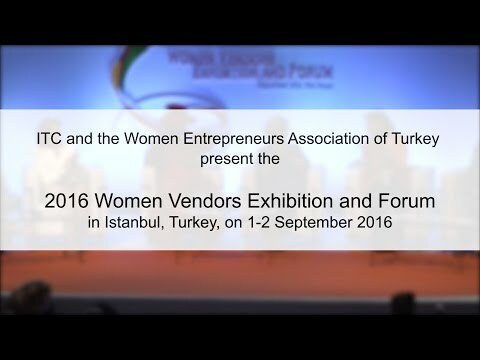 Over 500 women-owned businesses from across the world will participate in the event in search of new trade and investment opportunities. SheTrades Global will feature facilitated business-to-business meetings, keynote speeches from thought leaders, high-level panels, an investment challenge and workshops led by industry specialists. Click here for the preliminary SheTrades Global programme and here for information about the Festival. An interesting mix of investors, corporations, government officials will be attending the three day event and interacting with SheTrades Global delegates. Confirmed names include UPS, BBC, BARCLAYS, UK Gov representatives, eBay and many more. The 2018 edition of SheTrades Global will take place within the context of the International Business Festival (IBF). Participants of SheTrades Global 2018 will have access to IBF’s three-week programme, from 12 to 28 June 2018, which features 100 major events, 200 world-class speakers, and more than 32,000 registered visitors.